BlackStar Announces a Shadow of the Demon Lord Kickstarter! Big announcement for all Shadow of the Demon Lord fans! set in the universe created by the “twisted” mind of Robert Schwalb! Hail the BlackStar! Welcome the first tome of foul and dark creatures: Death & Decay, a complete sourcebook full of undead minions and servants that tread the ground of Urth, their unnatural sight cursing the mortal with sorrow and fear, ready to announce that the End of All Things is near. BlackStar is a whole new game line based on Shadow of the Demon Lord RPG, originally designed and created by Robert Schwalb. Death & Decay, our first release, will depict and introduce new monsters and develop exciting new ways to add fun and terror to the creatures you already know. It will be an immersive, dark fantasy supplement, that gives players and GMs alike new resources for their gaming sessions. You will find plenty of undead out there ready to drain your last breath, coming from the Underworld itself or from the haunting darker places scattered through Urth. BlackStar: Death & Decay is the first Kickstarter created by BlackStar with Robert Schwalb and will be launched on August 14th 2018. Stay tuned and keep an eye on the evolution of the game at www.hbdragonsgames.com and the forthcoming products of the line. Robert Schwalb’s Shadow of the Demon Lord RPG Official Licensed line brings darkness into light! The Shadow of the Demon Lord is upon you. BlackStar Games is the new international label from WMS Publishing, licensee of Robert Schwalb’ Shadow of the Demon Lord RPG line. We apply our passion and creativity to bring you whole new levels of imagination. We believe RPGs are a way to forge together creativity, art and design to create a new form of communication. 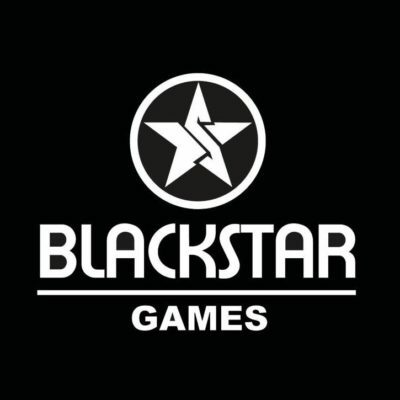 You can visit our facebook Page: BlackStar Games and our site pages on www.hbdragongames. Schwalb Entertainment, LLC was founded in 2014 by Robert J. Schwalb (veteran RPG game designer and developer, and author) to offer a rich, immersive game-play experience in worlds of dark fantasy and science fiction, most notably, the horror fantasy roleplaying game, Shadow of the Demon Lord. Before Schwalb Entertainment, Robert was a member of the 5th Edition Dungeons & Dragons design team, worked as a developer for Warhammer Fantasy Roleplay 2nd Edition, and was lead designer on A Song of Ice and Fire Roleplaying. He has contributed design to a slew of D&D sourcebooks, supplements for the d20 system, the Cypher System, and many other roleplaying games. Schwalb Entertainment, LLC is headquartered in Murfreesboro, Tennessee. This entry was posted in News and tagged BlackStar, Kickstarter, Robert Schwalb, Shadow of the Demon Lord.